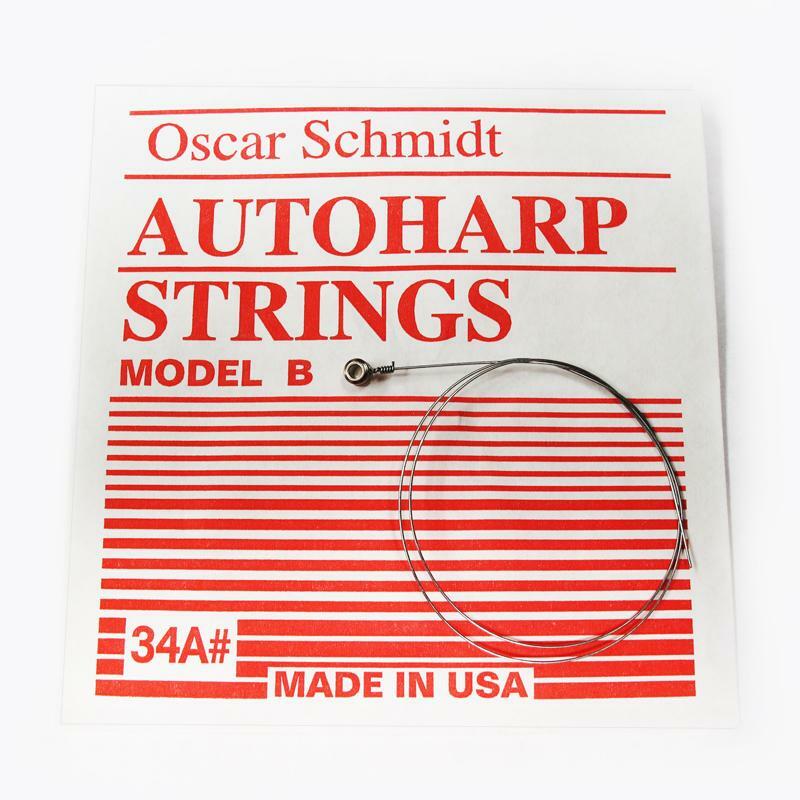 Individual strings for model B autoharps. Made for models post-1968 with ball ending. Sealed in plastic wrap to keep in optimal shape. Strings are individually wrapped and labeled for your convenience. Not sure what string type fits your model? 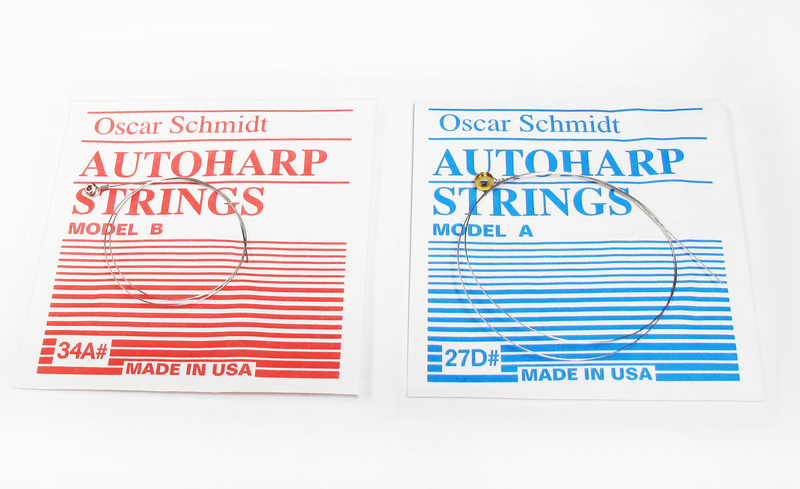 There are 2 different types of Autoharp strings. Type A model strings are used on 73 models and older models that were made pre 1967. 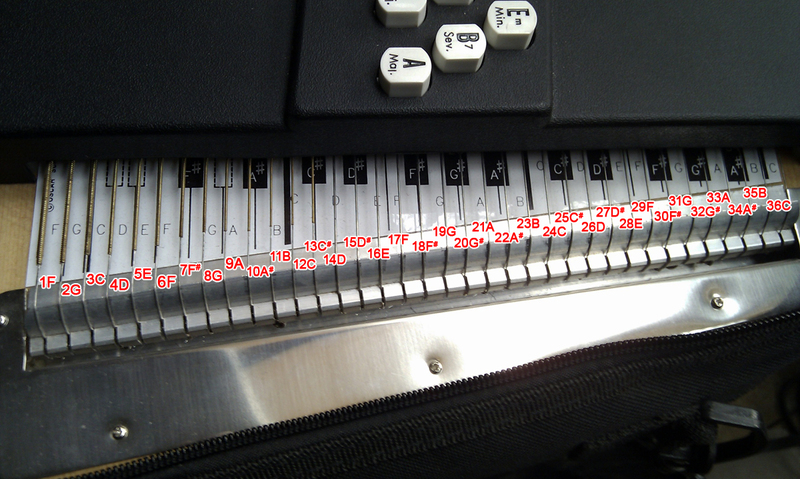 These strings have a loop ending that slips over pins in the side of the Autoharp down by the bridge. The pins are covered with a plastic cover to prevent them from snagging on clothing. Type B model strings are the most common. They have a ball ending with a small hole in the ball. These are used on Autoharps with the bridge that is set in the body and Autoharps with Fine Tuning Systems. New 73 models come with strings with large-hole ball ending. Replacement strings have loop endings.